Americans drink a lot of coffee, to the tune of consuming more than 140 billion cups per year (Motley Fool 2017 article). The National Coffee Association estimates that 64% of Americans drink a cup of coffee every day. While it might seem like you can’t walk a block without encountering at least one coffee shop, when you add to the equation all the other types of beverages we Americans drink on a daily basis, it’s hard to go anywhere without coming across people devoid of some kind of beverage container in hand. Food and drink has become increasingly socially acceptable in almost all spaces of our lives, from work to school to car, bus, or train to shops and public spaces. Our Modern Beverage Culture 2018 report finds that 65% of consumers always have a beverage on hand, including 73% of Millennials, 63% of Gen X and 58% of Boomers. The combination of relaxed norms around eating and drinking and the increased importance of health and wellness in our food and beverage choices has expanded the roles that beverages play in our everyday lives. Beverages are increasingly used as a source of nutrition and substitute for food. The idea of hydration, for example, has been especially important in expanding the range of occasions in which it is socially appropriate to have a beverage. “Hydration” decouples drinking from thirst, making it not only acceptable but encouraged to always have a beverage handy. With increasingly hectic consumer lifestyles and a growing field of options, beverages are carrying more of the nutritional and emotional burden of the consumers’ days than ever before. Heightened self-awareness, higher standards for what they put in their bodies, and access to an increasingly distinctive array of beverages have raised the game for what it means to meet consumers’ needs. According to the Modern Beverage Culture 2018 report, consumers purchase an average of seven beverage categories. While much of the focus of beverage consumption is on hydration and naturally functional drinks, contemporary health and wellness notions include the idea that the best health solutions are personalized and that food and beverages can be used to achieve optimal performance. Performance is no longer a benefit reserved for athletes and fitness buffs, but it is something that touches every type of consumer as they seek to excel in and enjoy all aspects of their life. Performance is targeted functionality; it is using beverages for a specific, intended purpose. Consumers use coffee throughout the day to keep alert. They use protein shakes to help muscles recover after a workout and have chamomile tea before going to bed to help relax to get a good night’s rest. Consumers intentionally think about the beverages they drink and consider if they will deliver a specific benefit/result that is needed. More than four in ten (44%) consumers say that it is important “that my beverages do something for me” (like provide energy, nutrients, or other benefits), according to the Modern Beverage Culture 2018 report. We want to be clear that while performance is targeted functionality, it’s inherent functionality — not scientific functionality. 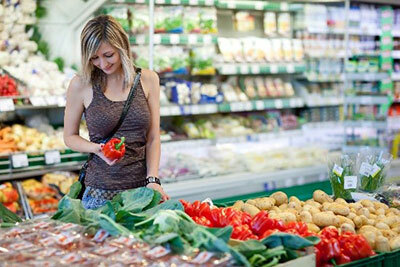 Inherent functionality is having naturally occurring health benefits. 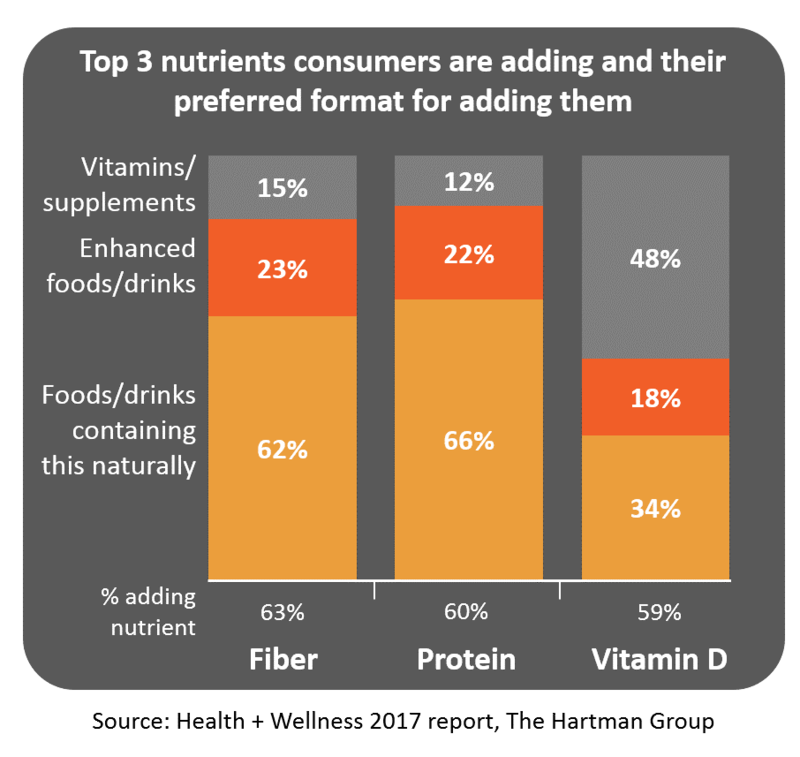 The top three nutrients consumers are adding to their diet are fiber, protein and vitamin D, according to our Health + Wellness 2017 report. 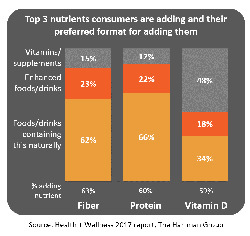 As the chart depicts, when it comes to fiber and protein, consumers are primarily trying to add those through foods and beverages. One key benefit of performance that consumers are seeking is energy. For the majority of consumers, the very definition of health and wellness is having the energy to live an active life, and yet, whether young or old, having too little energy is a key trigger for a change in health and wellness views. The Health + Wellness 2017 report finds that while 59% of consumers say “having enough energy for an active lifestyle” is important to meeting their wellness aspirations and goals, 29% of consumers view their energy levels as urgently needing improvement. Beverages today represent the epitome of consumer choice—a vast array of options to meet demand for better solutions against evolving needs and lifestyles. 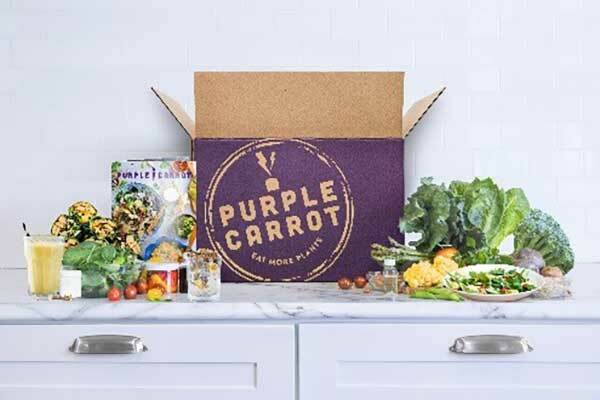 It’s a complex, compelling landscape full of strategic implications for manufacturers, retailers, and restaurant/food service operators alike. 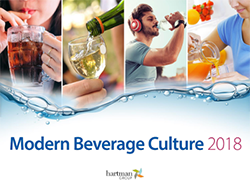 The Hartman Group’s Modern Beverage Culture 2018 report unpacks the dynamics that drive consumer choice and shape the exciting opportunities ahead in today’s beverage landscape. One of the key aspects of the report is the introduction of our Modern Beverage Need State Model. Key need states drive our observed shifts in beverage consumption. The Modern Beverage Need State Model provides a consumer-centered lens on category competition. It parses conscious and unconscious motivations for beverage consumption — from deliberate care and connection to more routine needs like energy and basic thirst — and translates these to higher-order opportunity areas.